This recipe is sure to please any pizza or mushroom lover. You can have a great appetizer in less than 30 minutes! Hey everyone!! I hope you had a wonderful Christmas! I really enjoyed my week off from blogging! My daughter and I spent tons of time with the family and did some relaxing too. It was a perfect little break! I was also lucky to spend alot of time in the kitchen, so there's lots of yummy goodness coming your way! 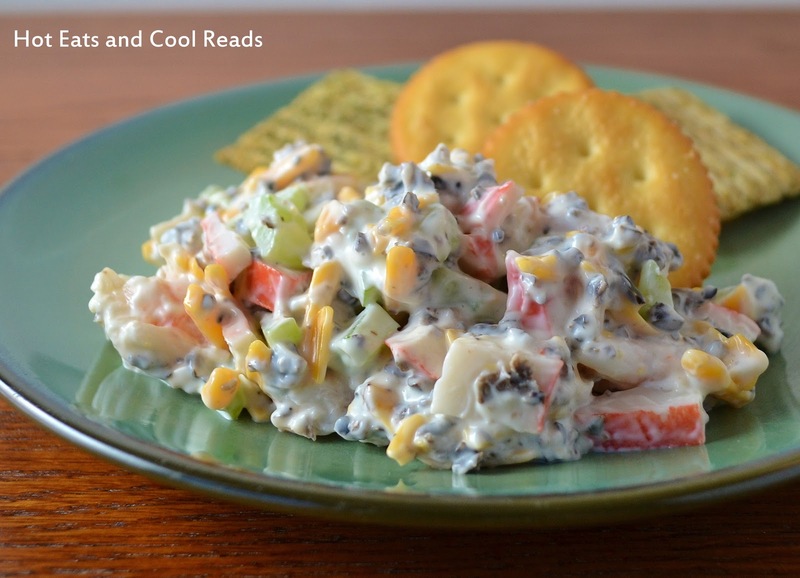 Today's recipe is a great appetizer for New Years! If you have friends and family who are mushroom or pizza lovers, then this is the recipe to serve! 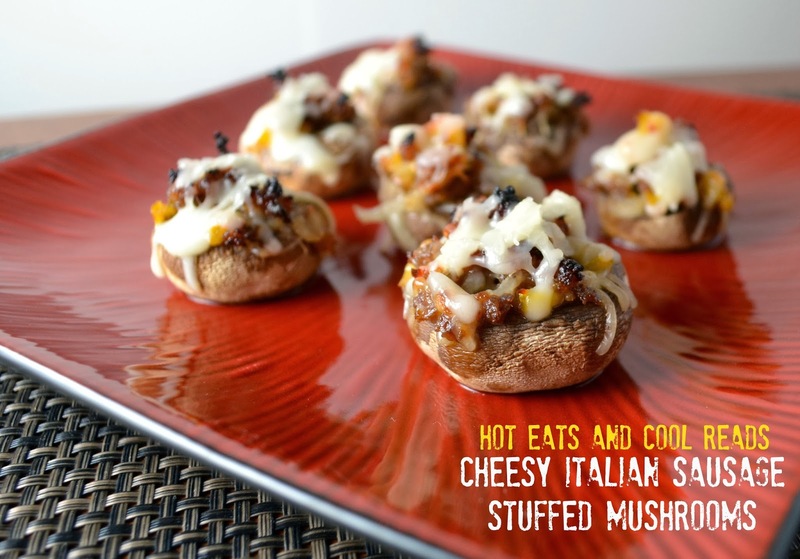 These Pizza Stuffed Mushrooms couldn't be any easier to make, and you can switch out any of the ingredients I used, for toppings that you love! I actually ate them for dinner one night, so their really perfect for any occasion! What types of stuffed mushrooms do you usually make? Combine olives, onion, basil, ham, pizza sauce and 2 tablespoons cheese. Scoop mixture into each mushroom and place in a glass baking dish. Cover mushrooms with remaining 1/2 cup cheese. Bake for 20 minutes, then broil until cheese on top is bubbly and starts to brown. Serve immediately. Ohhh I love these! I always love stuffed mushrooms, and I LOVE that you used green olives! Mmmm, these do look like a tasty appetizer! I'm with you though, I could eat these for my whole meal! MMM! My hubby would really love these mushrooms! Happy New Year to you and yours! Stuffed mushrooms are 100% my favorite. I am really looking forward to trying this variation. Thanks! 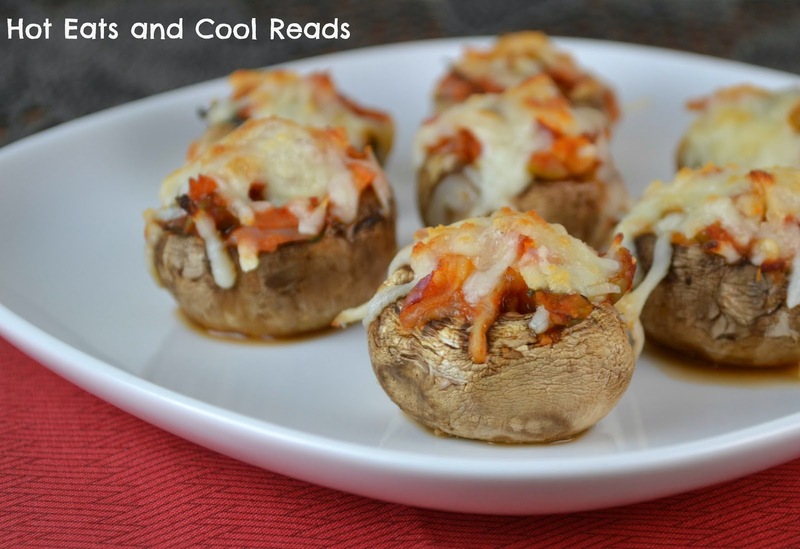 Mushrooms aren't my favorite veggie, but I can guarantee that I would try these!! Oh my wordy!!!! Two of my favorite things in one!!!! Pizza? Mushrooms? LET ME AT THEM!!! I love that you put ham in these. I don't do pepperoni anymore, so these sound sooo good to me! I will be making these! Loving all the flavors here! A healthier version of pizza? I am in! 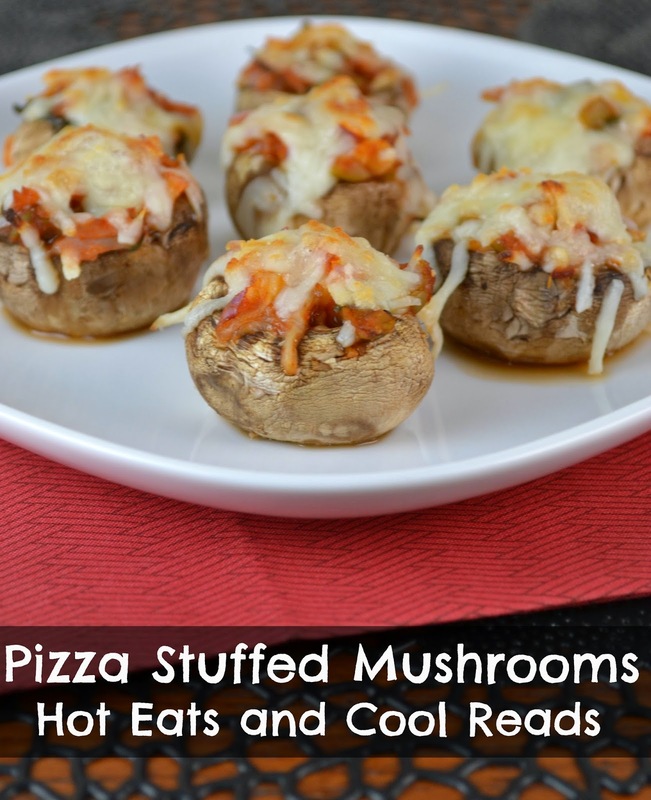 I love stuffed mushrooms and I seriously was just craving pizza - what a great marriage of the two! Yummmmm.....I plan on altering this in SO many different ways! I do not care for olives, so out they go...but I will make one version vegetarian with red bell peppers to replace the olives...and another version with cooked ground turkey and onion and seasonings...yummm...my mouth is watering already!